Working with Alain has been painless and effortless. We were very pleased with the exceptionnal service we received. Would highly recommend anyone looking to purchase GO SEE Alain!! I had a blast with the crew and would suggest anyone getting a car to get one from these guys. Thanks to the entire team at Bruce Ford! 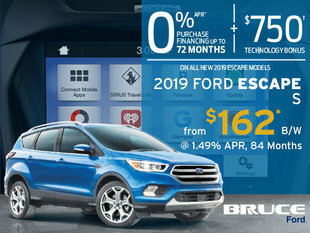 My purchasing experience at Bruce Ford reminded me thy i not only love Ford products but why i am a loyal customer to the Bruce Ford dealership. The attention to detail and the consideration afforded me by the incredible team environment made my transaction smooth, without any pressure, and at all times professional. 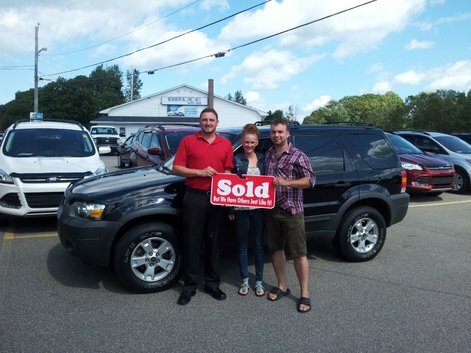 My exceptional salesperson, Alain Doucet, was thorough in going through all the details of the vehicle with me, Scott Adsett made sure I was aware of all the various buying and leasing options available, Charity Mouland explained the Warranty and all the pertinent buying information to ensure i had the right coverage for me as well as for the truck, and the always excellent service & parts department personnel made sure every question I had was answered quickly. I could not ask for an easier or more pleasant atmosphere to buy or service a vehicle. Ford makes a great product but its people make the company the best there is. Thanks to the entire team at Bruce Ford! I hadn't planned to purchase a new vehicle but this vehicle is a real gem. It coupled with a very possible buying experience thanks to Alain Doucet and Scot Alset from Bruce Ford.